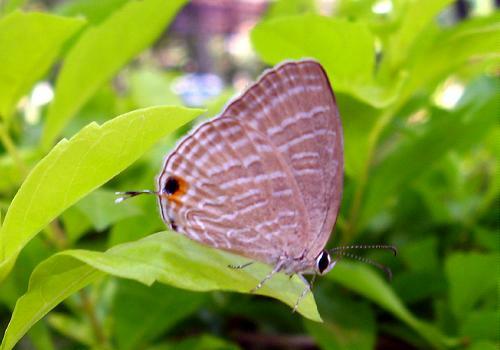 Unfortunately, I only have underside pictures of this species and its close relative, the dark cerulean (Jamides bochus). 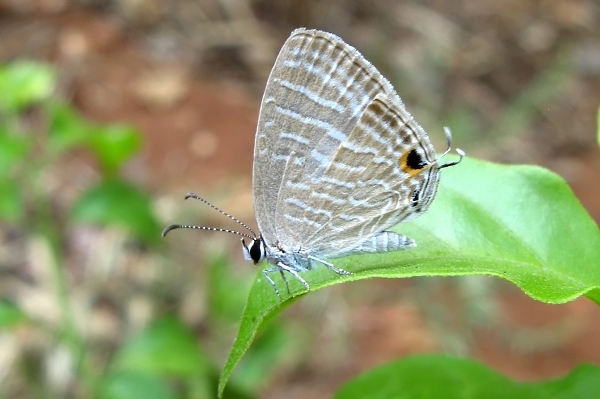 The undersides are distinct, but the uppersides even more so, this species showing none of the brilliant depth of blue of its cousin. I found common ceruleans in Mysore.